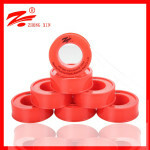 How to wrap a pipe with ptfe thread seal tape? 1. Make sure the threaded end of the pipe is free of dirt or debris. 2. 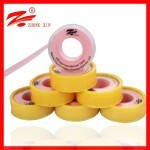 Wrap the tape tightly around the male pipe thread. Only apply one complete rotation in the direction of the thread spiral. 3. 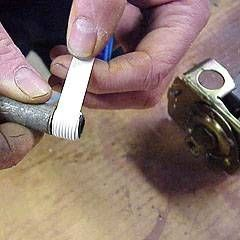 Tear the used tape from the rest of the roll, and draw the loose end tightly around the threads to ensure that the free end does not overhang. This will prevent fitment issues later on. 4. 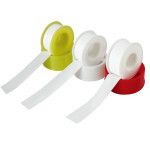 Use your fingernails to press the PTFE tape firmly at the overlapping points. 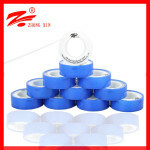 The tape should conform to the threaded surface. 5. Assemble the male and female pipes to check for proper fitment. 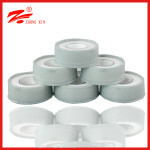 PTFE tape is applicable on both PVC plastic pipe threads and galvanized metal piping. 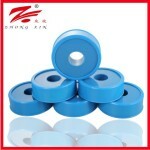 How to know the quality of ptfe thread seal tape? 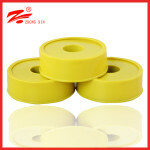 In general, the quality of ptfe tape depends on the toughness and the color. 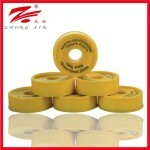 Higher the toughness and purer the color, better the quality. How much time will anaerobic adhesives take to cure? 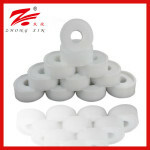 It will begin to cure in 20 min under the room temperature, but to be fully curing, it will take 4 hours, depending on the temperature, the material of the thread. It won’t impact the process of construction because you don’t need to wait for its fully curing.